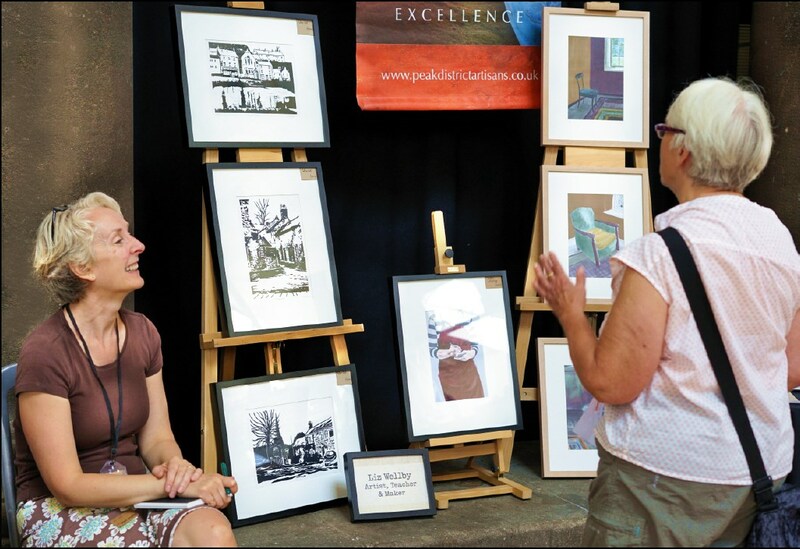 Liz is a versatile and experienced fine artist. 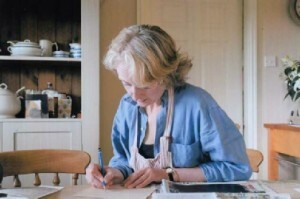 Following the completion of a Fine Arts degree at Loughborough University and subsequent post graduate studies, she returned to Derbyshire where she has worked as an artist in residence, teacher and maker for over 25 years. Living and working in Derbyshire is important to Liz, providing a significant visual resource for her work. The themes of home, countryside and the domestic environment, can be seen in her digital drawings and paintings, print work and sculpture. 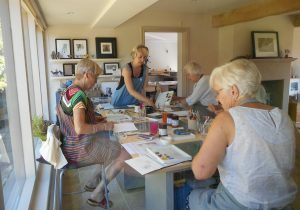 Liz is a member of the highly considered Peak District Artisans, regularly exhibiting with the group. Her work has been consistently selected for the annual Derbyshire Open Exhibition, receiving commendations in 2010 & 2012 and the Derbyshire County Council Award in 2015. Liz lives in the small village of Carsington on the edge of the Peak District. Working from her home studio - The Slipper Studio, she is kept company by her husband and a cat called Bert.